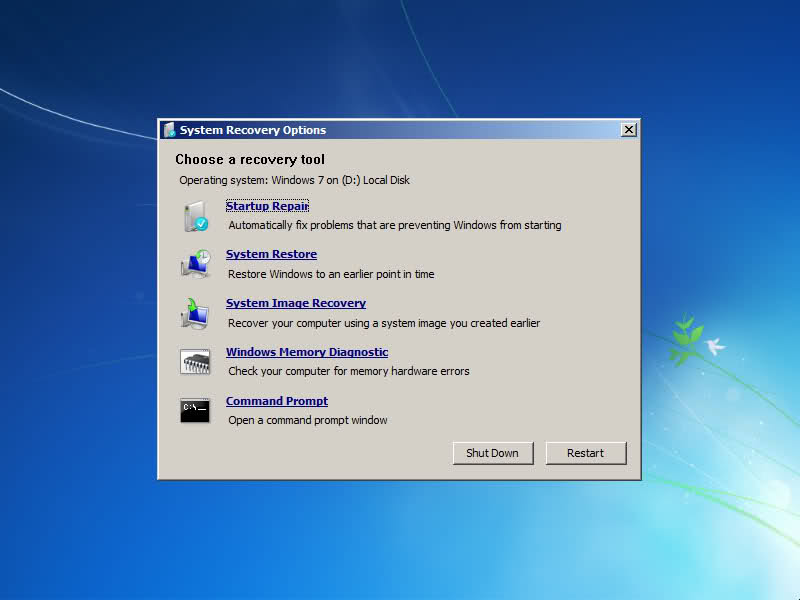 Is System Restore a full Restore and suitable for a test installation? I have a fresh and activated Windows 7 installation that I would like to use as a Test installation. So I would like to create a Snapshot and be able to completely revert to that snapshot. As it's not Enterprise/Ultimate, VHD Booting is not an option, and as it's a Netbook, VMWare/VPC is not an option either. 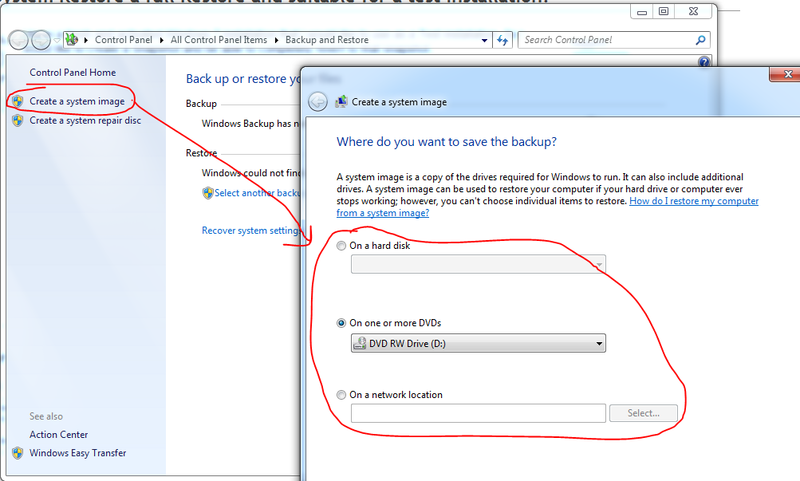 I should add that the HD has 2 partitions, and on both are Windows 7 installations. The second partition should be left untouched as this is the main Setup. System restore is very good now, but it still doesn't beat a full on backup - if you get a virus or anything really serious, you will be in trouble. Windows comes with a backup utility that can create a full image, I highly recommend you do this to another computer or a external drive. When you want to restore, you can just have a bootable USB windows disk, go to repair and as long as you have network or direct access to the image, you will be able to easily restore. System Restore is not good enough. and neither is the System Image feature if you ever want to test other operating systems than Windows 7 on that drive/partition (Microsoft either care very little or they're in a state of deep neglect when it comes to Linux OS :). My favorites are Symantec Ghost Enterprise and Drive Snapshot (both commercial products), if you're looking for some decent free drive imaging tools, have a look at Clonezilla, DriveImageXML or EASEUS Disk Copy. Not the answer you're looking for? Browse other questions tagged windows-7 backup system-restore disk-image or ask your own question. What is the quickest and safest way to test new software and revert all changes, if needed? Is it possible to burn a customized windows installation? Windows disk imaging software which can save drivers and boot sector separately during backup? I'd like to have a clean installation of Windows 7 to clone for future 'fresh starts' - will this cause activation issues with current installation? Recovery or installation drive for windows 10?